When you imagine traffic control devices, you probably think of street lights, direction signs, and Automatic Vehicle Identification (AVI) systems. What you probably don’t imagine are the transmitters, receivers, and responders within a traffic control system. In this article, Diablo Controls is going to explain why traffic control devices are so important to the general public and commercial uses. If you’re considering traffic control products, it’s time to shop Diablo, or you can contact us directly to get a quote. Otherwise, continue reading this article to learn more. 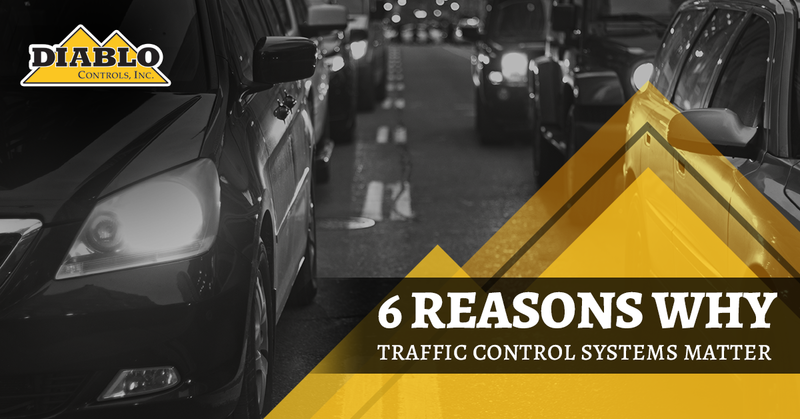 The number one reason for traffic control systems is to ensure the safety of those around or in traffic. A roadway system without traffic controls begets more accidents and more injuries. Without direction, the roadway would become much more dangerous. Where there is an intersection of traffic, traffic control devices need to be present to direct the vehicles. Without traffic control, chaos would ensue at intersections and around certain areas. Controlling vehicle movement ensures that safety and efficiency are the highest priorities. The use of traffic control devices helps reduce the severity of some accidents in and around intersections. Driver’s become more aware of how traffic should flow, so the accidents become less impactful at slower speeds. Communicating to drivers and operators when it is safe to drive or when they need to stop is the number one way to improve safety and decrease accidents. Directing traffic helps drivers, passengers, and pedestrians across the board remain safe and secure. Without order, traffic would fall into chaos. Traffic control systems, whether at an intersection, toll both, or automatic gate, create order. This means that there will be much less opportunity for complete gridlock to occur. A gridlock of traffic increases the chances of accidents and decreases drivers’ abilities to focus on operating their vehicles. Typically, the longer vehicles remain on the road, the more carbon-emissions they emit. Traffic control helps reduce the time vehicles spend on the road. This not only helps keep traffic organize, but it helps create a better future for society. Diablo Controls: Shop Traffic Control Devices Online Now! After 40-plus years in the industry, Diablo Controls has remained a worldwide distributor of traffic control devices and products, as well as access control and parking control products and devices. When you need traffic control, you will find that Diablo is the best choice. As your worldwide traffic control company, don’t wait to get a quote and start utilizing devices. Contact us today!